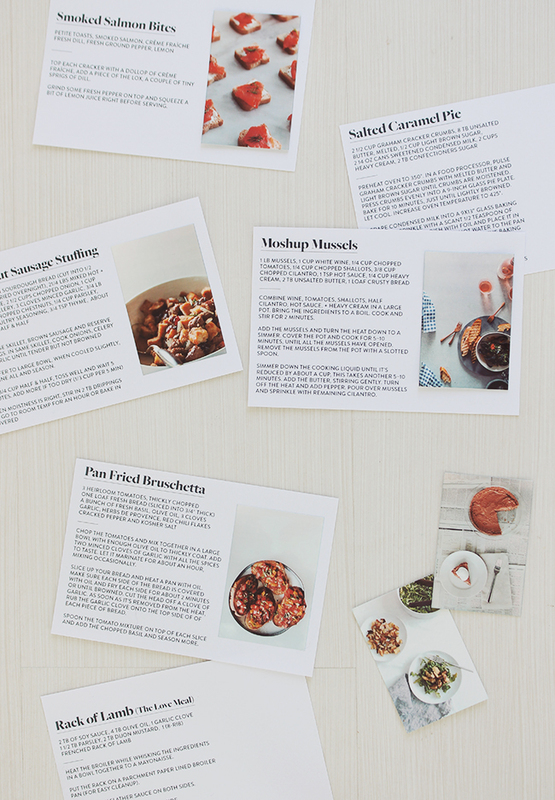 everybody who cooks has a shortlist of their greatest hits, and whenever i discover a recipe i love (whether its from a cookbook or a relative or the internet) i like to make a recipe card so i won’t forget. 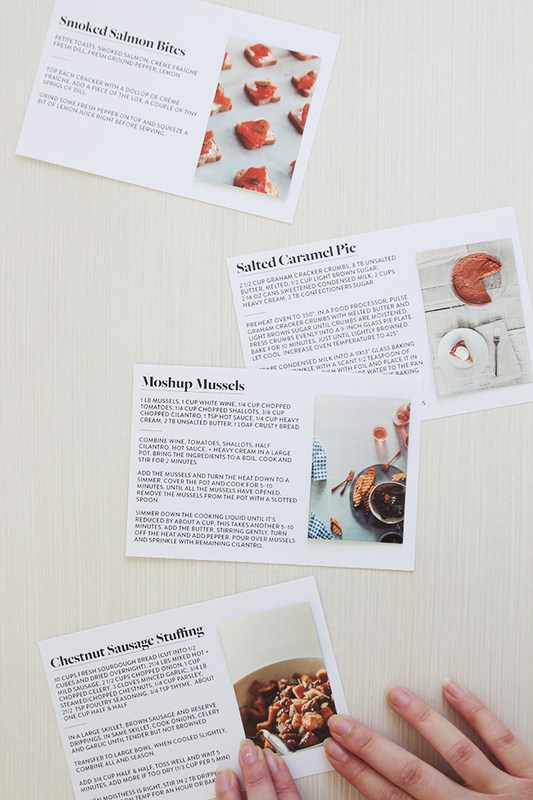 you might already know that i love recipe cards. now i’ve decided that adding your own photos is the best way ever to make them super personalized and special. 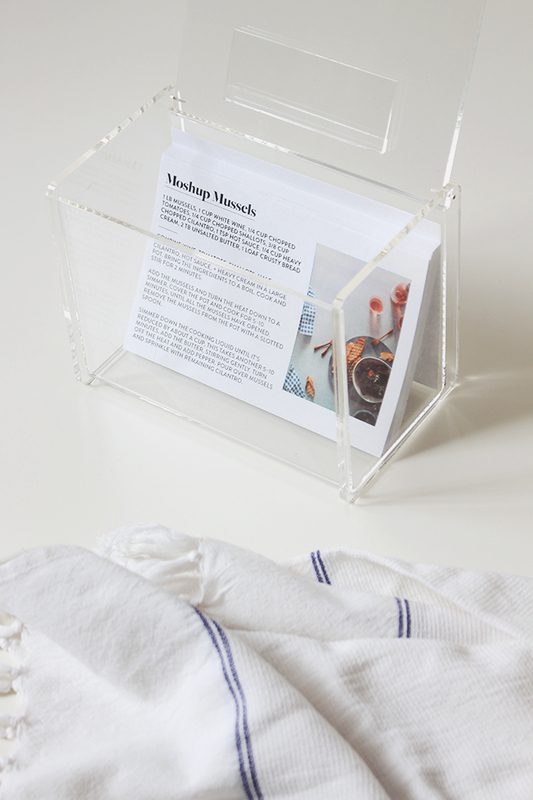 its a fun way to stay organized and it also makes each recipe way easier to find. i used the hp sprocket to print the cute little photos. then all that’s left is to jot down the steps and ingredients and you’ve got another hit meal archived. it’s all very quick. 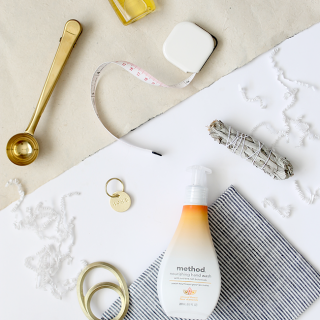 the printer is also so tiny it would probably fit in your recipe box (or make a super dope stocking stuffer). i used sticker film so they stick right onto the recipe cards. it also makes a great homemade holiday gift, you can collect all your family recipes and give to all the cooks in your life. 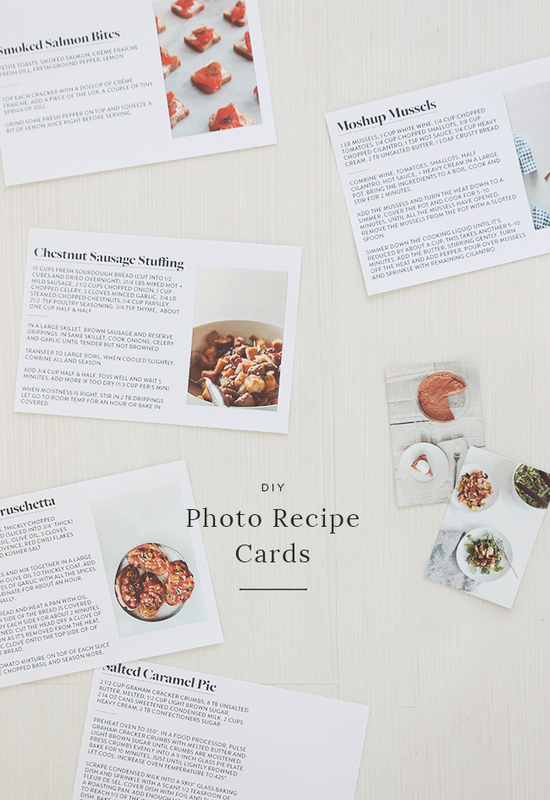 the best part of adding the photo is that you have plenty of options — you can take a photo of your finished meal and print within seconds, or print a photo from the original website you found the recipe on. you could even do process pics if you want to really lay it all out. 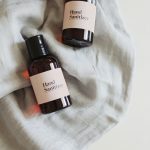 i’m a visual person so having the photo is super helpful for me, both for remembering the vibe of a certain dish, deciding what to make, or how to even make it in the first place. gid doesn’t even notice anymore that there’s a photo shoot after every time i successfully cook something and before the first bite. 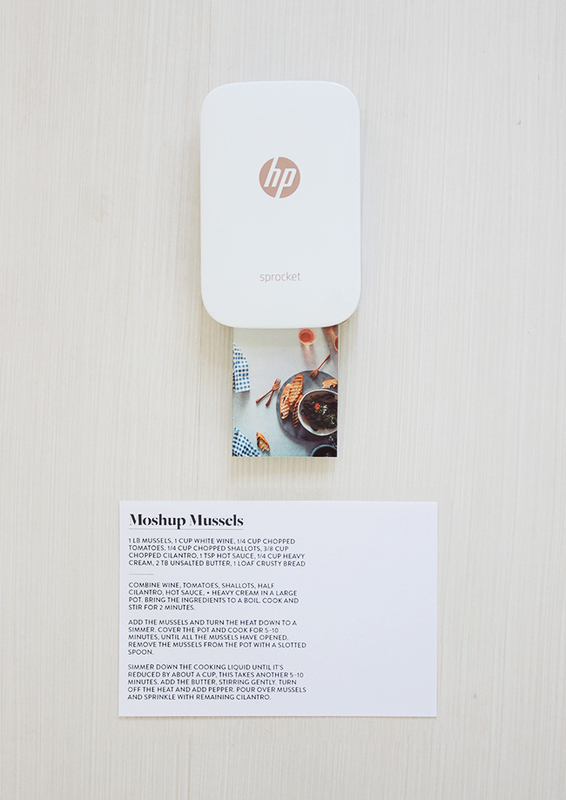 this post was in partnership with HP Sprocket. These would be great to add magnets to the back and stick your most used/loved recipes on the fridge! yeah, it’s sooo hard for me to remember what recipes i like unless i have them in my hands. I just LOVE LOVE LOVE this idea!! 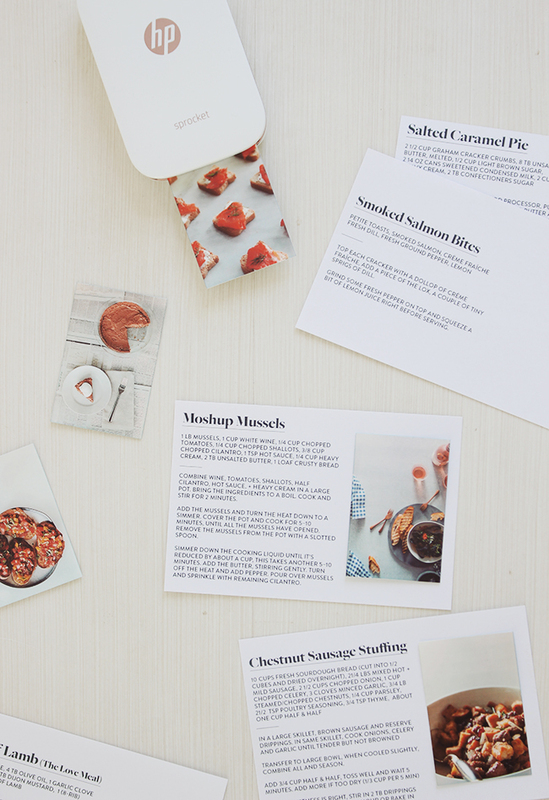 the recipe cards look beautiful!! 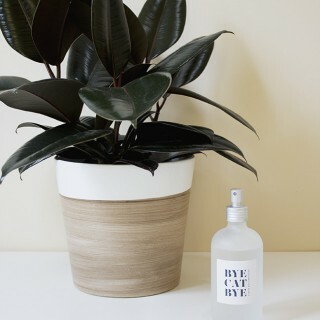 I love this idea, especially as a holiday gift for someone. I know someone who loves to collect recipe cards and wants some of my recipes, and now I know what to get her. Thank you for sharing your idea. love these! do you have a download that for the size and font for the cards? I love these! May i ask you where you get that acryl box? Hi! Great idea, is there a template for these cards? 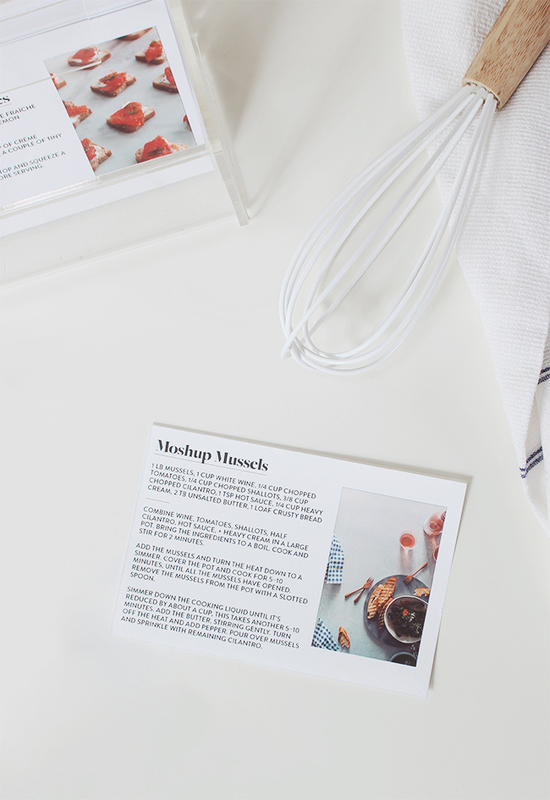 Have you got a template for the recipe cards?